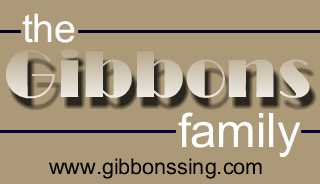 If you just accepted Jesus Christ into your heart, let us know, email us at gibbonssing@aol.com and include your name - we want to know! Congratulations on your wonderful new journey. We'll be keeping you in our prayers. God Bless You - We LOVE You!